PAT VANGORP | Jeff Ellis & Associates, Inc.
Pat gained her interest in Aquatic Management when working for the Camp Fire Girls camp in Iowa. She was so interested in Recreational Aquatics that she decided to double major in physical education and recreation in college at Iowa State. 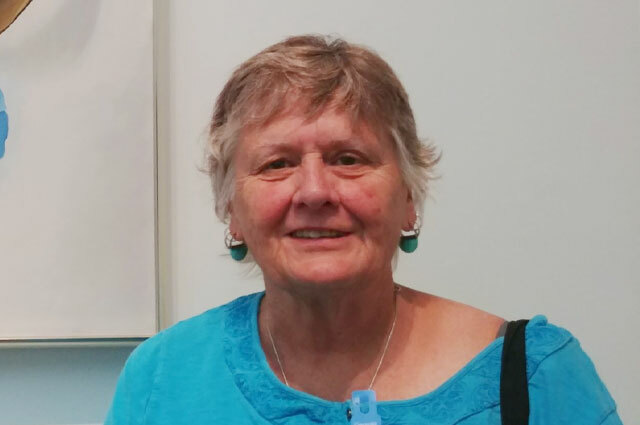 Pat Started her full-time aquatics career working for the YMCA, and she also taught physical education and coached swimming to supplement her career in aquatics. By the time she met her husband, and moved to AZ,Pat had been in the aquatics field for 15 years. Pat has worked for City of Tempe for the past 25 years where s he had the unique opportunity to play an integral part in running one of the first indoor wave pools in the world. She met Jeff Ellis at a demonstration/symposium at Arizona State University, and from that point forward, she and the City of Tempe, have forged a strong relationship with E&A. Pat considers herself lucky to have worked with an incredibly dedicated staff and for a city that allowed her to flourish and grow. Under her tutelage, the City of Tempe has received many awards from Ellis and Associates throughout the years, and has been the host facility for the Ron Rhinehart International Aquatic Safety School for the past 10+ years. The success of IASS has been largely in part to Pat’s efforts. Under her guidance, the City of Tempe has also received two “Excellence in Aquatics” Awards from the National Recreation and Park Association, in both 1997 and 2005. She created a statewide symposium to share ideas about aquatics with other Arizona aquatics professionals, and this group has been leading the way in aquatic safety for the state of Arizona for 14 years now. ”Pat has always been a believer in Education and Training. She has always a champion of the idea that it is never too late to learn and share that learning”. Pat retired this past year and will truly be missed by the E&A family. We hope that she will keep in touch and we wish her much joy with her new found time.